Cape Town City have backed their Absa Premiership championship aspirations with yet another achievement after they were announced as the Absa Premiership Q-Innovation Quarter Three winners. This is Cape Town City’s first Absa Premiership Quarter prize – another historic achievement for ‘The Citizens’. In Quarter Two, Cape Town City were flirting with victory only to fall away on the last hurdle to Mamelodi Sundowns. However, they have since made up for that disappointment. Cape Town City won the Quarter with 16 points from eight fixtures; managing five victories, one loss and two draws. Cape Town City will receive R1.5 million in prize money. They were closely followed by another side that has turned the corner in the league, SuperSport United who finished with 15 points from the same number of games (8). Kaizer Chiefs and Orlando Pirates finished third and fourth respectively. The former managed 14 points while the latter was on 13 points. The PSL congratulates Cape Town City for this achievement. Each side that wins a Quarter gets R1, 5 million in prize money. Quarter One (8 Fixtures), Quarter Two (7 Fixtures), Quarter Three (8 Fixtures), Quarter Four (7 Fixtures). Bidvest Wits won Quarter One with 16 points from eight matches. Mamelodi Sundowns won Quarter Two with 17 points from seven matches. Cape Town City won Quarter Three with 18 points from eight matches. 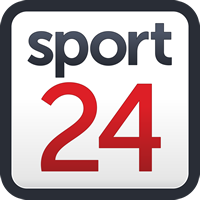 Mamelodi Sundowns won Absa Premiership Quarter Two with 13 points from seven matches. Orlando Pirates won Absa Premiership Quarter Three with 18 points. Mamelodi Sundowns won Quarter Four.